According to reports, names of candidates of the All Progressives Congress (APC) were all absent on the list. 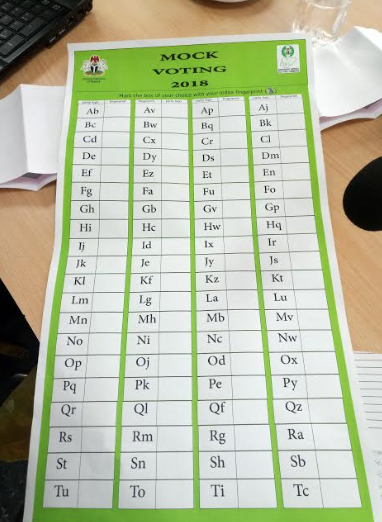 INEC had on Thursday, January 17, released a list signed by the commission’s secretary, Rose Orianran-Anthony and while the candidates of the Peoples Democratic Party (PDP), Social Democratic Party (SDP), and Labour Party among others were on the list, those of the All Progressives Congress (APC) were excluded. A Federal High court in Port Harcourt, the state capital had nullified the direct and indirect primaries conducted by the two factions of the APC in Rivers. The court presided over by Justice Kolawole Omotosho held that both primaries were not conducted according to the law. Justice Omotosho had also restrained the electoral body from recognising Tonye Cole and Magnus Abe as governorship candidates of the APC in the general elections. Senator Abe was declared the winner of a direct governorship primary conducted by a faction of the party in 2018 after polling 144, 929 votes. But Cole emerged the winner of an indirect primary held by another faction with 3,329 votes. Following the rulings. the Resident Electoral Commissioner in Rivers state, Obo Effanga, insisted that the electoral umpire would always obey court injunctions.